Zimbabwe-born Andrew Conolly and his wife Wendy purchased Antelope Park, a private game reserve outside of Gweru, Zimbabwe, in 1987. There were six captive lions and cubs and they developed a tourist destination called African Encounter. When the lions were let out of their enclosures for exercise, Conolly noticed that they exhibited similar behavior to lions in the wild – something they didn’t see when the animals were returned to their enclosures. At that same time, headlines started to reveal the rapid decline of the lion species across Africa, and so the beginnings of a multi-phase program to release lions back into the wild started to germinate. Eighteen years later, in 2005, ALERT was founded with the goal of reintroducing lions back into the wild through a program that would more successfully address the broader context of reintroduction, because to simply release the lions would not solve many of the issues that have resulted in the decline of the species. There have been many attempts to release captive bred lions and other predators back into the wild – attempts that have been generally unsuccessful because the animals were not given pre-release training, their dependence on humans was not curtailed, they were released as individuals with no natural social system, and that they had no experience with competitive predator species. To address these issues, ALERT has developed a four-stage release program. Stage 1: Cubs are either bred at the reserve or brought in from other reserves. By six weeks old, they are taken out on “walks” with seasoned handlers who serve as dominant pride members. The cubs get the opportunity to go out in the bush to develop an interest in prey species; at first to simply have fun and play, but later to begin to hone their hunting skills. By 18 months, they are typically capable of taking down younger antelope. By 24 months, they are seasoned hunters. Stage 2: A pride of lions that has been determined to be a good genetic and social mix is released into a minimum enclosure of 500 acres. Most of the pride are radio-collared, micro-chipped and vaccinated. At this point all direct human contact is removed, although the pride is monitored and observed daily. The lions in the pride are responsible for hunting and killing their food, and hopefully they start to mate and reproduce. 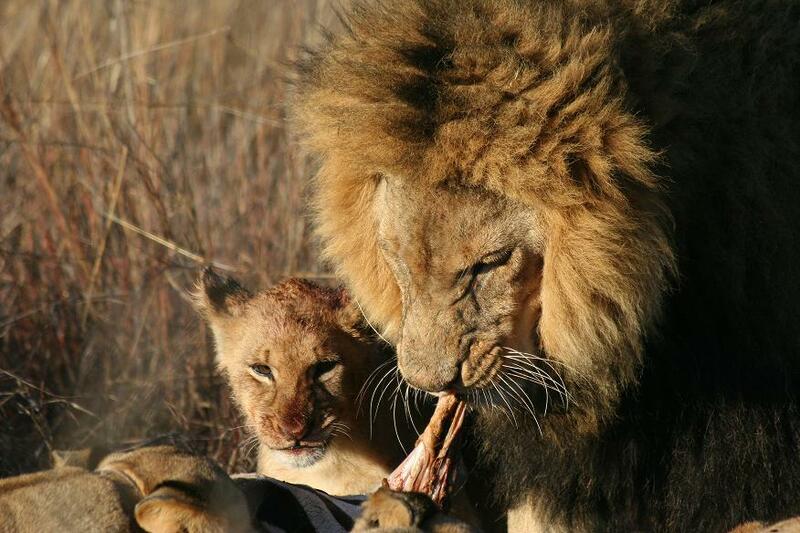 The program at Antelope Park is currently in Stage 2, with the release area’s inagural pride, the Ngamo Pride, proving themselves to be excellent hunters. 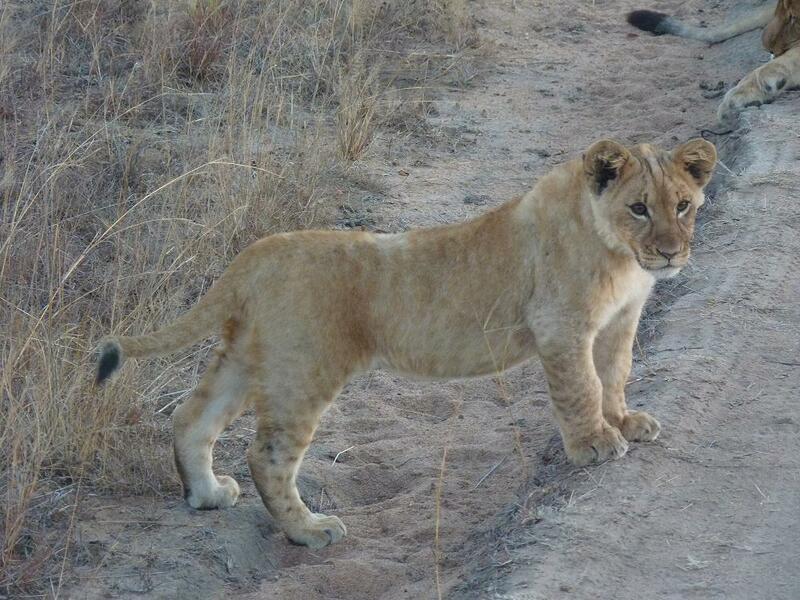 While a few litters have been born in the pride since their release, only one cub has survived so far. Her name is AT1. She is doing extremely well and is even gaining the affection of dad, Milo, which is no easy task. Stage 3: Once it’s determined the pride is completely self-sustaining, they will be moved into a managed ecosystem of at least 10,000 acres, where competitive predator species such as hyena will be introduced. Cubs born during this stage will be in an environment very close to the wild. Stage 4: Lions born in Stage 3 will be re-introduced in appropriate game reserves, conservancies, and National Parks throughout Africa. ALERT and its partners engage in a wide variety of programs, with the Lion Breeding and Reintroduction Program being a central component. ALERT recognizes that you can’t, nor should you, stop economic and social development, but that it needs to happen in a responsible manner through scientific research, political engagement, and local community participation. ALERT’s goal is to assist the African people to develop opportunities to improve their livelihood through sustainable use of their natural resources so that those communities will be able to make responsible, rational decisions to protect these wild areas. Click here to read more about ALERT’s African Lion Rehabilitation and Release program.